As summer comes to a close, buyers and sellers want to know what to expect this fall. Will the market heat up, kind of like late summer temperatures often do in the Bay Area? 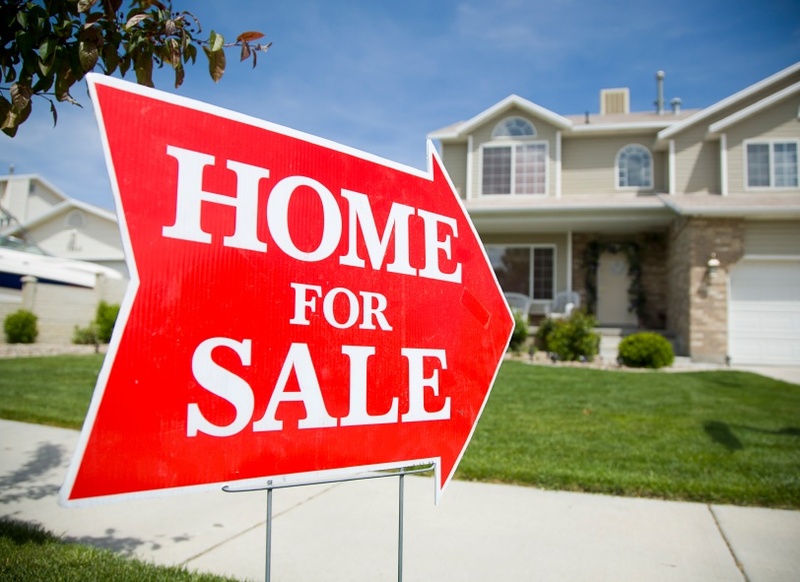 Will home prices continue to rise, stay the same or decrease? Does a market like Silicon Valley even slow down? A new tax bill is coming...perhaps by Christmas. Both Chambers of Congress have approved the $1.5 trillion tax cut, the largest tax rewrite in decades. The bill is expected to be signed into law by the end of the week. July 11, 2016 Daniel G.
June 27, 2016 Daniel G.
June 6, 2016 Daniel G.
At a time when the top of the real estate market in Silicon Valley usually ramps up, in Palo Alto it seems like the brakes may be engaged. October 31, 2015 Daniel G.
The results are in, and once again several Silicon Valley cities have been named by Livability.com as being among the top 100 places to live in the United States. October 27, 2015 Daniel G.
Looking for a great place in the Bay Area to eat? How about a really great place? Look no further than the 2016 Michelin Guide, the industry standard for ranking the best restaurants and chefs. I recently attended Inman Connect, a week-long conference for real estate professionals in San Francisco. Organizers selected several among those in attendance to be part of their “Real Estate Unplugged” series and answer several questions on video. June 20, 2015 Daniel G.
A recent article on SFCurbed.com addressed a question that’s been rolling around in the back of many heads for a while: Is it becoming too expensive to live in Silicon Valley? If data from Redfin.com is any clue, the answer is “For some, probably.” The SFCurbed article “Even Techies May Now Be Getting Priced Out of the Bay Area” points out some surprising stats about valley residents who are looking to relocate. An increasing number of these movers are exploring the possibility of relocating to someplace other than here to escape the skyrocketing Silicon Valley home prices. According to Redfin, the number of locals searching for a new home located near their old one (i.e., in the valley) has dropped from 85.5% in 2011 to 75.8% this year. Where are these people searching for their next home? Just over 5% are looking in Seattle, up from 1.2% four years ago. In that same period, people searching Redfin for homes in Sacramento has jumped from 4.3% to 7.0%. Home searches by local residents for properties in Portland have risen to 2.6% from 0.5% in 2011. Compare these prices with the median sale price of homes throughout Silicon Valley: $1,050,000. A move to Seattle, as an example, could result in a financial boon. Median pay for software developers in this northern city is $100,000 per year. Yes, that’s $12,000 a year less than what a developer would earn in San Jose, but living in Seattle could cost as little as half what it would cost to stay in the valley and create software here. Boston is another example. A Redfin broker described the influx of Silicon Valley residents into Bean Town by saying, “My God, they are pouring in.” It is reported on Redfin’s own website that these transplants are paying 20% above asking prices to secure a home in this town, while upsetting Boston locals who can’t compete. The two articles linked here provide plenty more details and facts about how, for many, Silicon Valley home prices are simply becoming too expensive. It’s doubtful we’ll see a mass exodus any time soon, but it will be interesting to see where movers are looking for homes in the coming months and years if Silicon Valley home prices continue to leave other U.S. markets in the dust. May 14, 2015 Daniel G.
The Mountain View City Council at a six-hour meeting May 5-6 made a long-awaited decision on how to divvy up Silicon Valley land use and building rights in the coveted North Bayshore district. LinkedIn got what it was hoping for. Google is now searching for a Plan B. 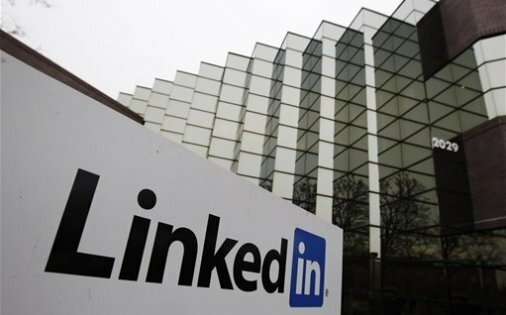 At stake was approximately 2.2 million square feet of commercial space that a variety of entities, including LinkedIn, Google, Broadreach Capital Partners, Rees Properties, the Sobrato Organization and others, had been vying for pieces of. At the end of the day, LinkedIn came out on top. The council granted the social networking giant about 1.4 million of the available square feet while allocating to Google a mere 515,000 square feet, just enough for a single piece of its mammoth campus expansion project. Google rep David Radcliffe called it “a significant blow.” Google had originally requested nearly all of the available land. The City Council’s decision is not a green light for any of the entities receiving Silicon Valley land use awards to begin construction. It’s merely a go-ahead for the companies to submit formal development plans. For a more in-depth look at the City Council’s decision, check out Nathan Donato-Weinstein’s article on the Silicon Valley Business Journal. Where's the most expensive zip code in Silicon Valley? January 29, 2015 Daniel G.
You don’t have to read any source of national real estate news for very long before you see something about Silicon Valley home prices. This vibrant enclave south of San Francisco consistently comes in at the top of “most-expensive” lists. This time, we’re looking at the 20 highest-priced communities within the Valley, based on the median sold price of homes during 2014.It should come as no surprise that the town of Atherton, population about 7,000, ranked #1, with a median home price of $3,900,000 in its 94027 zip code. It’s interesting to note, however, that this figure is only 4% above the 2013 median price. Among the 20 highest-priced Silicon Valley communities, Atherton’s homes were among the slowest appreciators between the two years. The list, compiled by Business Insider from stats gathered from PropertyShark, has 94022 and 94024 in Los Altos Hills as numbers 2 and 3, with home prices of $2,450,000 and $2,200,000, respectively. Homes in both zip codes increased 17 percent in price from 2013 to 2014. Here are the communities, zip codes and 2014 home prices for the rest of the top 10. You can read the entire list at the Business Insider link above. While most of the homes in these zip codes have grown considerably in value over the last two years, several communities have experienced sluggish – or negative – growth. Homes in #4 Portola Valley actually decreased in median price by 4%. Homes in Menlo Park, Redwood City and Los Gatos all had price increases of less than 10% from 2013 to 2014. December 16, 2014 Daniel G.
Only one of the top 10 communities was located outside California – #10 Wellesley, Mass., where the average home price is $1,090,088. Atherton, one of the consistently most-expensive Silicon Valley communities, didn’t make the list. That could be because the study included cities/towns above a certain population, or because Atherton might not have had any 4-bedroom, 2-bath homes available. Currently, there are no such homes listed on the MLS in Atherton. But just to understand the limits of the study’s ranking of the “most expensive communities,” let’s see what’s happening in Atherton right now. Fifteen homes are currently on the market. The Home Listing Report 2014 places Los Altos on top with an average home price of $1,963,099. You can’t get into an Atherton home for less than $4,695,000. Nine of the 15 listed homes are selling for more than $10 million. The most expensive is $18.8 million and features 6 bedrooms and 6 baths within 8,168 square feet. But no matter how you slice the statistics, homes just about anywhere in Silicon Valley aren’t cheap. And by what we’ve seen in 2014, it won’t be surprising if the high-price trends continue well into the next year. 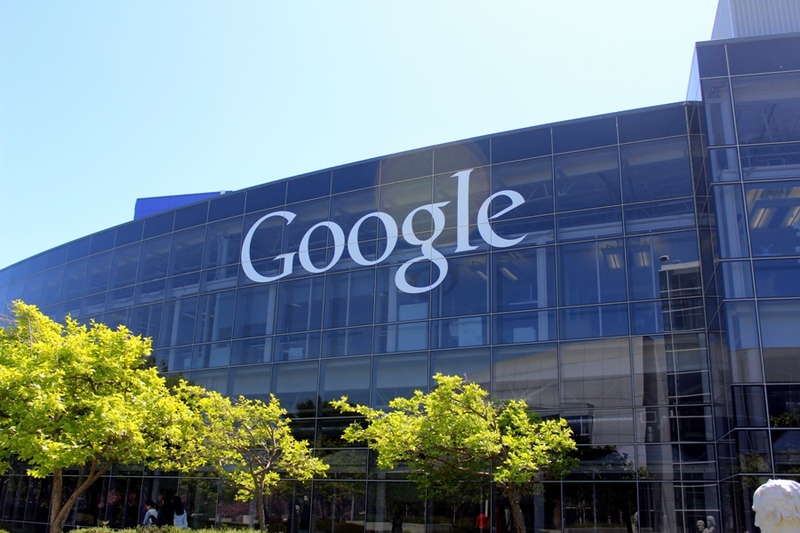 August 22, 2014 Daniel G.
It’s no secret that Silicon Valley is experiencing an enviable economic growth period. It’s also no secret that with the addition of a huge number of jobs in some sectors, people are migrating into the valley and need places to live. And it doesn’t matter to many of them what type of residence they live in, as long as they can get back and forth to work. Say hello to another housing market that’s growing fast and filling up rapidly, despite record-high prices: apartments. In a July 15, 2014 article in the Silicon Valley Business Journal, an economist pointed out that in the last two years, 72,000 new jobs have sprung up in the San Jose metro area alone. Economist Lawrence Souza predicted that this growth would require the support of 12,500 new housing units. He likened the expansion to the dot.com frenzy of 1998, 1999 and 2000. How is the county coping with the influx of workers? In 2013 and 2014, 3,996 new apartment units went on the market. Compare that with 3,139 for the previous four years combined. The Business Journal report said that historically such a large number of new units causes a dip in overall occupancy. Not this time around. Occupancy rates in Santa Clara County actually rose from 94.1% in first quarter 2014 to 96% in the second quarter. All this in spite of monthly rent prices that jumped an average of $124 per unit in the second quarter compared to the first. In the past few years, prices had risen but at a slower pace, with increases of $30 to $50 per quarter. One source put the current average second-quarter rent price for all apartment types in Santa Clara County at $2,321. In the first quarter it was $2,197. A year ago it was $2,128. Rent is even higher in San Mateo County, with a current average of $2,470, up from $2,360 in quarter one and $2,284 a year ago. An example of apartment rent prices that would astound many who live outside the valley can be found at Santana Row’s Misora luxury project in San Jose. A studio apartment here will run you $1,875 per month, while high-end lofts go for $9,065. The 212-unit development was completed in June, and by July 15 it was 95% leased. The average for one-bedroom apartments throughout Santa Clara County in second quarter 2014 was $2,082, up from $1,978 in the first quarter. Palo Alto apartments match that average, where rents there are up $144 from the first quarter. Mountain View’s average of $2,381 is up $152; Sunnyvale’s $2,095 is up $120; San Jose’s $1,945 us up $77. The “good news” for renters is that this trend is unlikely to continue. Spring and summer are historically the peak renting seasons, with more moderate pricing and slightly higher availability at other times during the year. At the current pace, rents are rising $400 to $500 per year, and that’s not indefinitely sustainable, even for Silicon Valley. Woodside recognized as top luxury home market in U.S. Recently I wrote about how Woodside is at the top of a Wikipedia listing of highest-income places in the United States. Now a CNBC article places Woodside as the nation’s top luxury home market.The latest stat, reported by CNBC, comes from the 2014 Coldwell Banker Luxury Report and names several other Silicon Valley cities as leaders in luxury homes, based on sales in units and volume as well as gains in average and median sold prices. In fact, three of the top five top luxury markets are in Silicon Valley, with Portola Valley at #3 and Hillsborough at #4. Where are buyers of these elegant homes that often sell at well into the tens of millions of dollars coming from? People who don’t live in Silicon Valley but have only heard of it see it as one of the high-tech capitals of the world and assume that most of the expensive homes are being bought by rich executives and mavericks in that arena. But those of us who work in real estate here know different. Along with venture capitalists, bankers, hedge funders and others whose work involves financial aspects of the tech industry, we’re seeing more and more foreign buyers from countries such as Canada and more recently China. While Canadian homebuyers have always played a part in the Silicon Valley real estate market, well-heeled Chinese are now putting significant amounts of cash into both personal and investment homes. A relatively small number of homes for sale coupled with a high number of qualified buyers have created a very favorable market for homeowners wishing to sell. Bidding wars are breaking out all over. The CNBC article recounts a story from a local real estate agent that paints a common picture: the agent on a Tuesday listed a Woodside home for $5.8 million. Five bids were placed on it in three days. It was a quick sale for a nice price: $7.26 million. The Multiple Listing Service shows 59 homes currently on the market in Woodside, with the top listing a nine-bedroom, 9,000-square-foot property advertised at $69,800,000. Of the available selection of homes, nine are priced at over $10 million. Only one is listed for under $1 million, and only 16 others are selling for under $2 million. With the strength of the current market and bidding wars ratcheting up prices, it’s likely Woodside will remain for awhile on top of the country’s luxury home market. The Public Gas and Electric Company (PG&E) says it will begin work July 7 in Woodside to replace a 79-year-old gas transmission line with a new one that is larger and safer for area homeowners.Line 109, as it is known, runs along the eastern side of Interstate 280. The replacement project will follow for the most part the current route except for the area proximate to Barkley Fields and Park. Construction in the park area will last about four weeks with disruption to activities involving only the playing field. The field will be restored to its original condition following construction. The current gas line was originally laid in 1935 and measures 22” in diameter. The new line will be 24” with the important safety feature of allowing for regular internal inspections of the entire line. The project is in accord with the Pipeline Safety Enhancement Plan (PSEP) created by Los Angeles-based SoCalGas. All gas transmission operators in California are overseen by the California Public Utilities Commission, which in 2011 ordered that they each create a plan that would allow for cost-effective testing and replacing of all pipelines that haven’t been pressure tested. To implement this directive, SoCalGas submitted to the commission its Pipeline Safety Enhancement Plan, which the commission approved in June. On the SoCalGas PSEP web page, the provider writes, “We believe that all customers will benefit from the added testing and safety validation” the new pipelines will provide. PG&E will initiate other Line 109 work in Woodside – also on July 7 – on state land adjacent to Barkley Fields and Park as well as on Farm Hill Blvd. This phase of the project is expected to take four months. 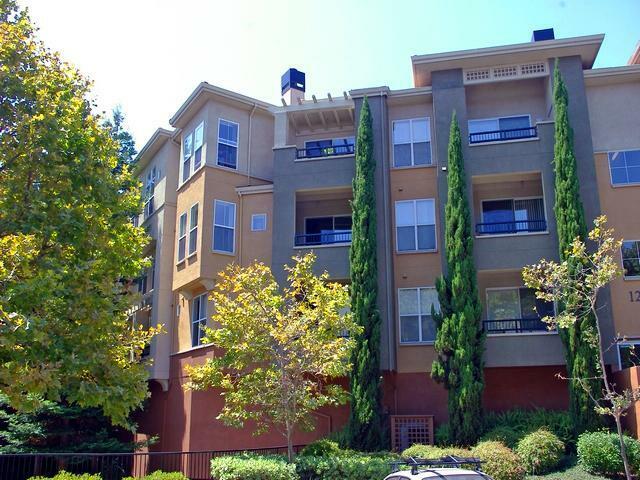 Woodside is situated in mid Silicon Valley, near Atherton and Palo Alto. At the 2010 census, the population was 5,287, with 1,977 households. For more information on the Line 109 project, contact Scott Hart at PG&E at (415) 517-6199. Among U.S. places with at least 1,000 households, Woodside enjoys the highest per capita income - $120,366. Also on that exclusive list are Portola Valley #7/$99,621, and Hillsborough #9/$98,643.Per capita income is determined by dividing the total income of an area by the number of residents within it. This can make the final number deceiving because residents factored in include children, who earn little to no money. With 23, California leads the list of “places” (could be cities, towns or unincorporated areas) with the highest incomes. Next closest was New York with 11. Other Silicon Valley communities within this group include #14 Los Altos Hills and #92 Los Altos. Twenty-three of the 50 U.S. states are represented on the list, which is part of a Wikipedia article last modified in April 2014. Taking a look at average household income, Woodside’s is $222,986, placing it below only Atherton among Silicon Valley cities and towns. Located in the western sector of Silicon Valley, north of Portola Valley and west of Menlo Park, Woodside’s real estate market is in line with its #1 spot on the highest-income places list. Of the current 47 properties on the market, nine come with price tags of over $10 million. The most expensive home is a massive 9,000-square-foot estate with nine bedrooms, selling for $69.8 million. Woodside is a charming, high-end community with a population of 5,287 residing within just 11.7 square miles of prime Silicon Valley land lush with redwood, oak and eucalyptus trees. Here’s a recap of a February 2014 report in the San Jose Mercury News that examined trends in California luxury home sales in 2013.Seven communities within Silicon Valley were among the state’s leaders in sales of homes for $1 million and above. The statistics below, showing the community and the number of homes sold, were compiled by DataQuick of San Diego. One home in Los Altos topped the dollar amount for all homes sold in these communities at $14.3 million. Next was Hillsborough, with a $13.3 million sale, followed by Saratoga, where a home was sold for $12.3 million. February 22, 2014 Daniel G.
Sales of California homes priced at $1 million or more jumped a whopping 45.1% in 2013 with the most homes in this bracket sold since 2007. Not surprisingly, Silicon Valley was among the leading regions in million-dollar home sales.The San Jose Mercury News reports that seven communities within the valley were among the state’s top sellers of homes valued at $1 million-plus. Here are those communities along with the number of million-dollar homes sold and the most expensive single homes among them. Los Gatos: 243 sales/$4.8 million. These numbers were generated by DataQuick of San Diego. Rising home prices and a strengthening economy surely contributed to the overall increase of luxury home sales in 2013. The total number of California homes sold in the million-dollar-plus bracket last year was 39,175, up from 26,993 in 2012. It was the largest number of homes in this price range sold since 2007, when 42,506 were sold. Sales of homes valued at more than $5 million reached 840 in 2013, an all-time high. 596 homes in the $4 million-$5 million price range were sold last year, another record. Home in the $3 million-$4 million and the $2 million-$3 million brackets also sold at record levels in 2013. 2013’s most expensive sold home was a $74.5 million ocean-front mansion in Malibu encompassing 15,355 square feet and featuring eight bedrooms and 14 bathrooms. The number of million-dollar-plus homes in California bought with cash in 2013 was 10,602, setting a record and eclipsing the 7,791 sold in this bracket a year previously. Including both homes and condos, 270,591 California properties are currently assessed for more than $1 million. What do these statistics tell us? They tell us that buyers are seeing the rising prices in the luxury homes market and are making their purchases now instead of in an unknown future. If you’re one of those buyers looking for the ideal Silicon Valley neighborhood in which to live and grow, give me a call at (650) 947-2942 today and let’s start planning for your next home. February 6, 2014 Daniel G.
The San Jose Mercury News in January enhanced water-shortage concerns of Californians and gave us all more reasons to watch how much water we’re using. The article noted that because of severe drought, the State Water Project will not be supplying urban residents and farmers with water this year. Rather than receive water from the State Water Project – which has been the foundation of the state’s water system – communities and regions will have to rely on reservoir water, well water and recycled water to meet their needs. Which means its time for all of us to tighten up and do our part to conserve what water we do have. In the Bay Area, Silicon Valley and residents of Dublin, Pleasanton and Livermore in the East Bay are expected to be most impacted by the drought, the News said. The question now is, will current water supplies meet demands? The Almaden Reservoir south of San Jose is just 3.2 percent full, with 50 acre-feet of water, The Wall Street Journal reported in early January. This is down significantly from its 1,568 acre-feet capacity level. An acre-foot is approximately the amount of water used in a year by a family of five. While the state’s agricultural industry will feel the sharpest impact of the drought, few residential communities will escape the effects of the water shortage. The good news is, we can all do our parts to conserve water and ride out the tide until the trend turns back toward regular rains. Below is a handy chart with five tips most of us can use to save water. For many more tips, go to WaterUseItWisely.com for 100+ Ways to Conserve.